This short sleeve t-shirt, from our Japanese line Bit'z Kids, is perfect for everyday wear. 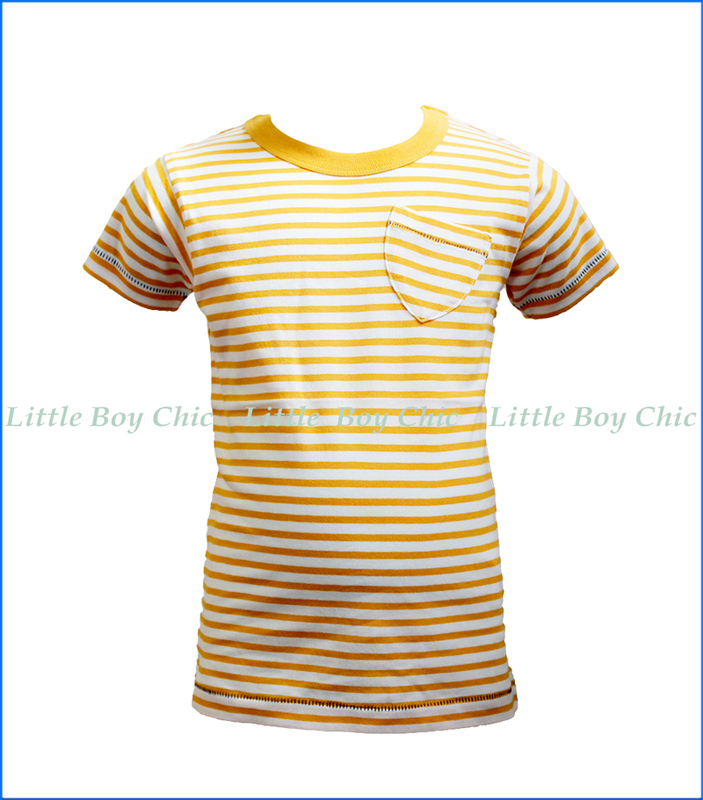 The sunny contrasting stripes and the shield shaped pocket make this tee fun and special. Super soft hand feel in an all cotton fabric. 2-3years size and smaller sizes have snap button on left shoulder for ease of getting our boy dressed.